Drench plants with a water soluble organic plant food monthly. Sow seeds direct or in containers and keep moist. Parsley germinates slowly. Or, start with young purchased plants. Take care not to disturb the roots when transplanting parsley. 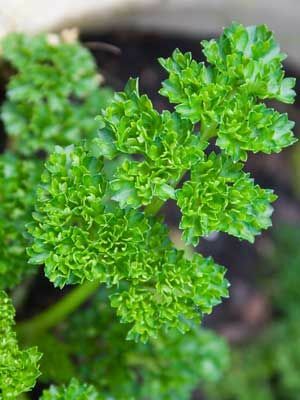 Try both curled and flat-leafed or Italian parsley, which has stronger flavour. Plants that survive winter will bloom first thing in spring.